A native New Zealander, living in Alaska, Stephen Lawrie began painting at a young age. Over the years, he has developed a unique & rare style that has made him a sought after artist for private commissions, exhibitions and art installations. Explore these pages to discover portraits that capture the essence of each subject and landscapes that echo real life. Each portrait is created by using a number of photographs of the subject. Lawrie takes time to get to know the subject through these photos, personal interviews or interviews of close friends and family. Lawrie's ability to convey the essence of a person on canvas is his gift and what sets his work apart from that of other painters. With a lifelong obsession with the natural world, Lawrie captures landscapes and lighting that are so close to real life, they often look like a well-timed photograph. Lawrie, a commercial fisherman and avid outdoorsman, creates landscapes on canvas with an attention to detail that is a testament to his love of wild places and characteristic of his style. 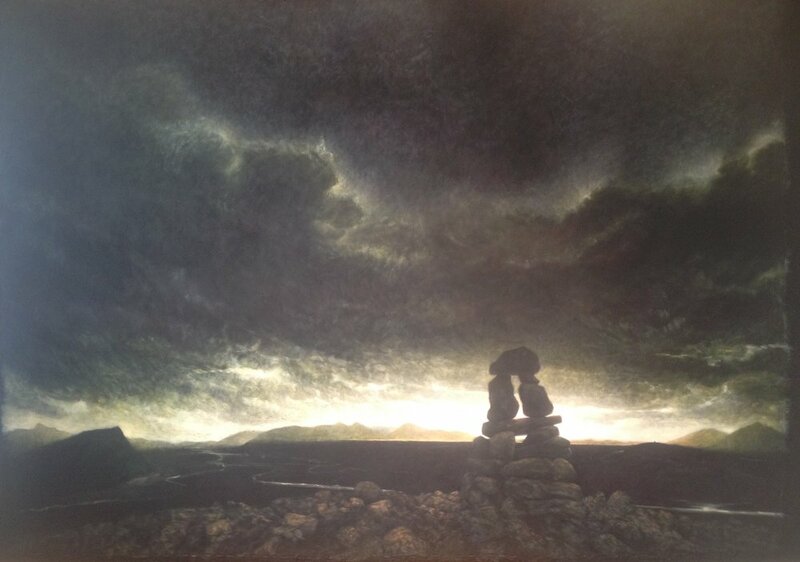 Please contact Stephen Lawrie Art for availability of select pieces, schedule for commissions and information on gallery showings and other exhibitions. COPYRIGHT 2018 BY STEPHEN LAWRIE. ALL RIGHTS RESERVED.